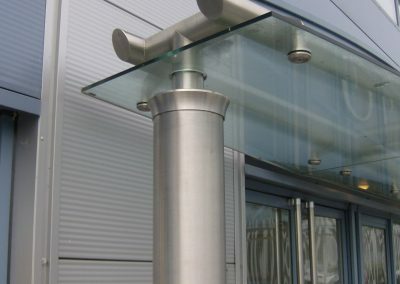 You can make a very strong statement with the right design for the entrance to your property, with the freedom to develop modern materials we will work to achieve your vision. 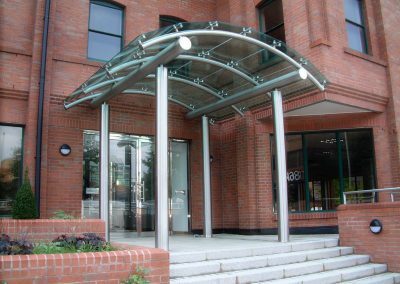 The entrance to a building creates the first impression, so it is imperative to get it right, it has to look stylish but also be functional and fit in with the surrounding structure, this is why we find our commercial glass canopies and glass entrances to be so popular.At UMG we have been involved with the design and construction of commercial glass entrance canopies for over 20 years, and in that time have gained a wealth of knowledge and experience about what works and what does not. 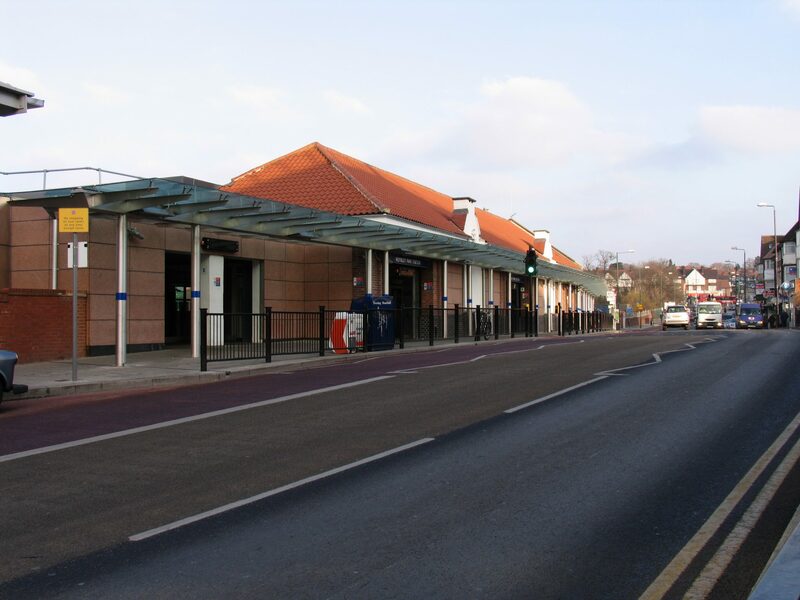 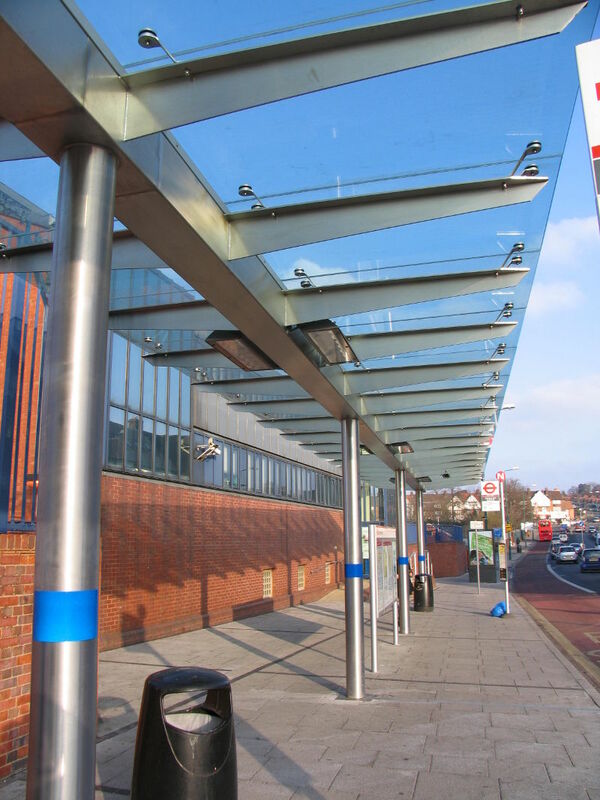 We, therefore, work closely with the client or architect helping and advising throughout the process to design the structure within budget and at the same time achieve the desired look of the perfect glass canopies and entrances. 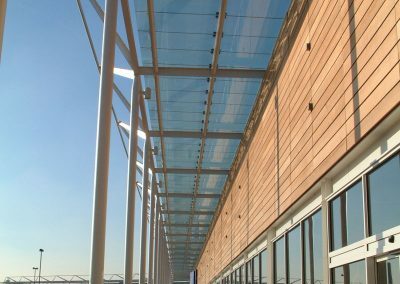 It is our job to overcome the technical difficulties that may arise within the design, and finding a cost-effective solution. 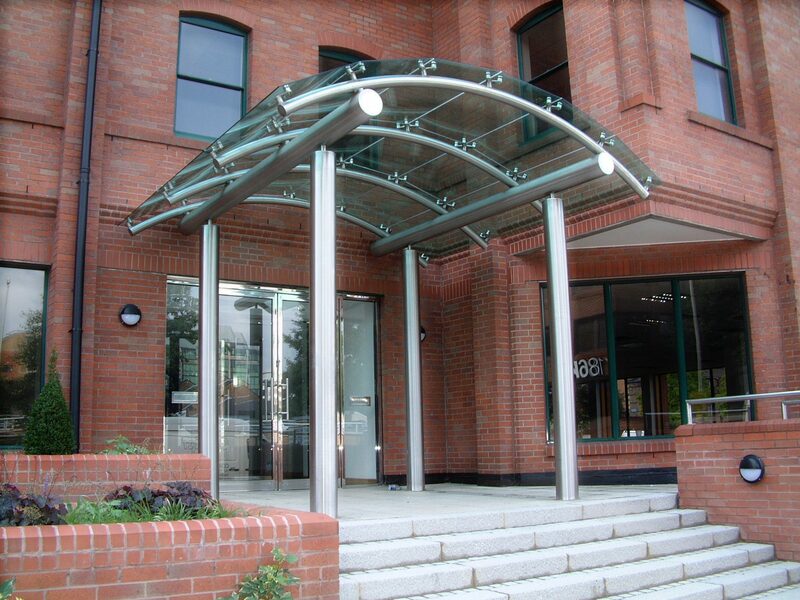 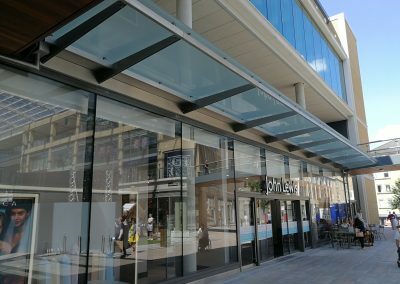 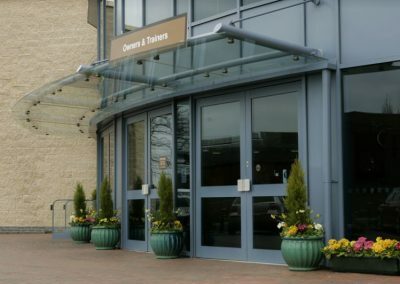 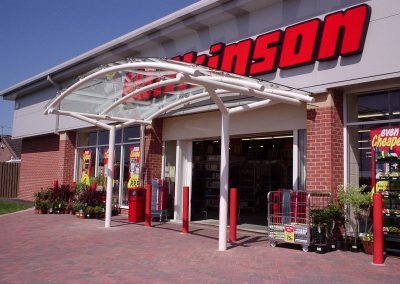 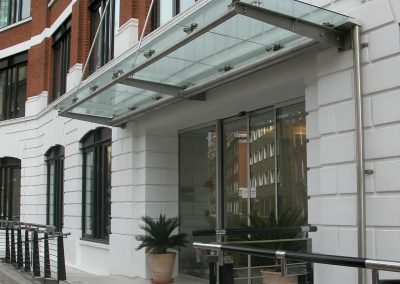 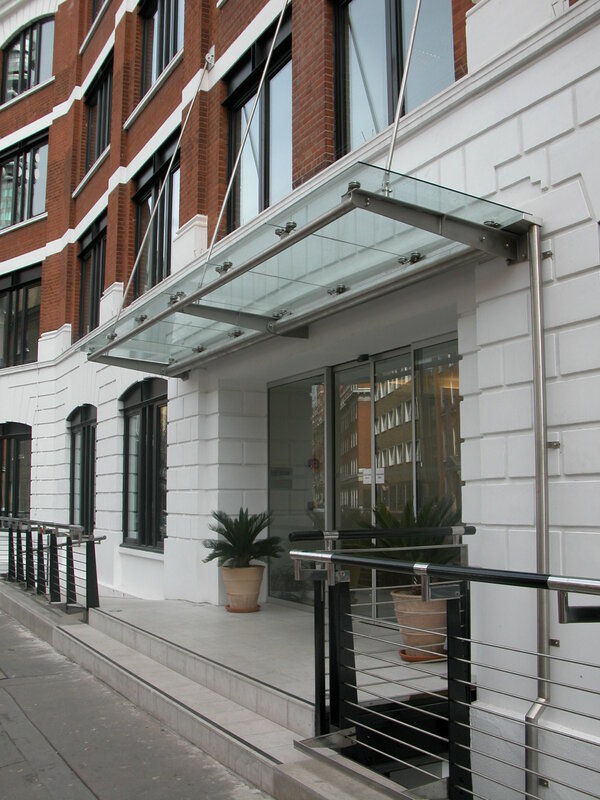 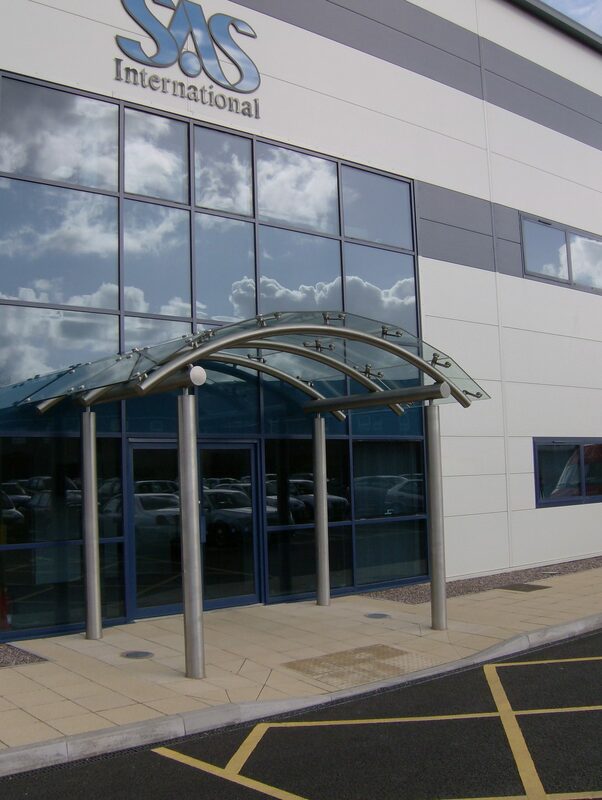 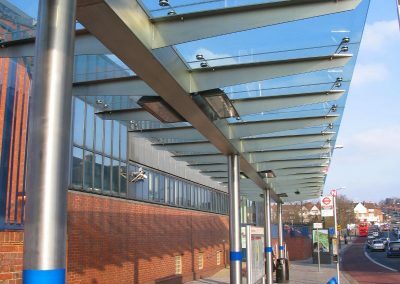 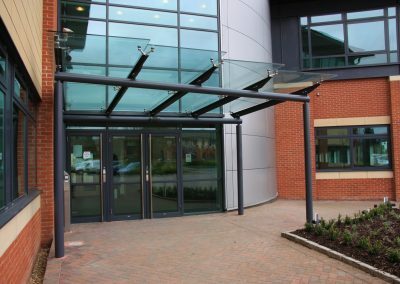 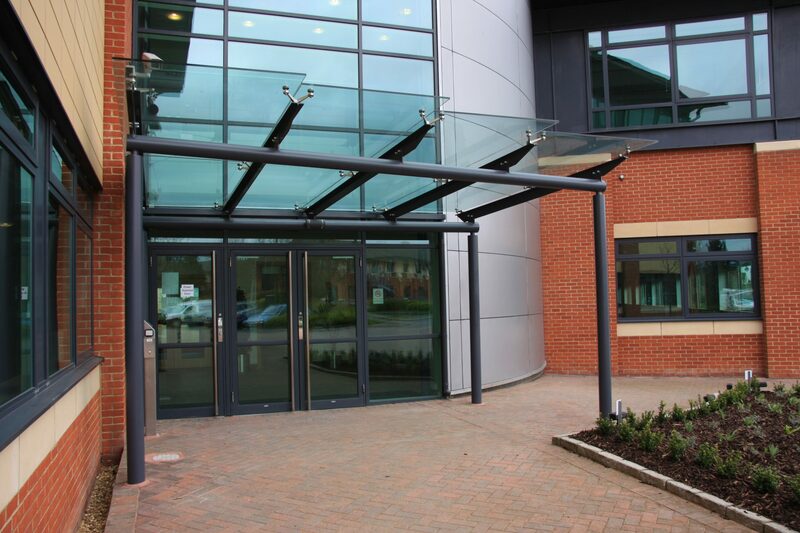 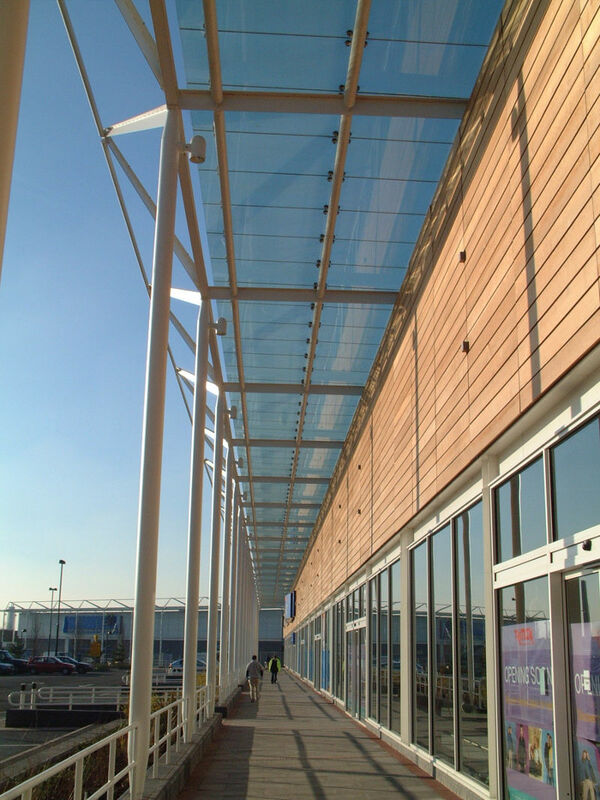 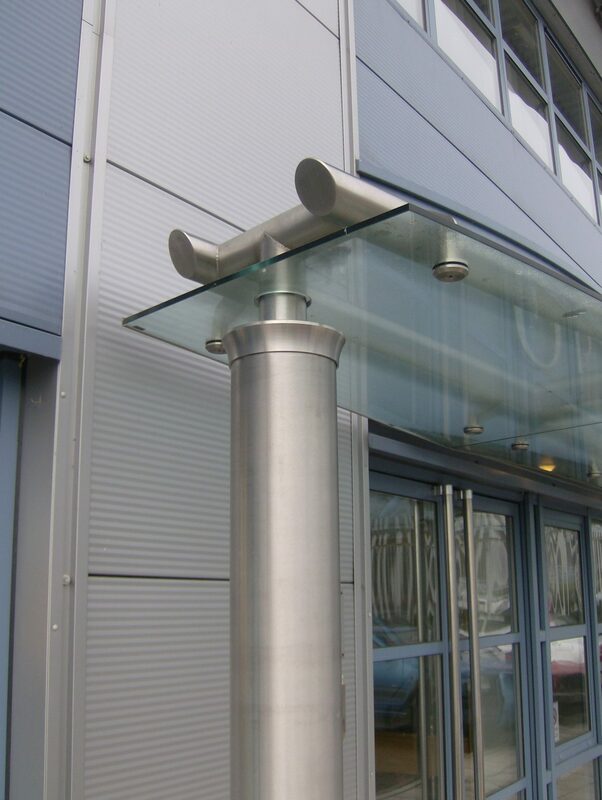 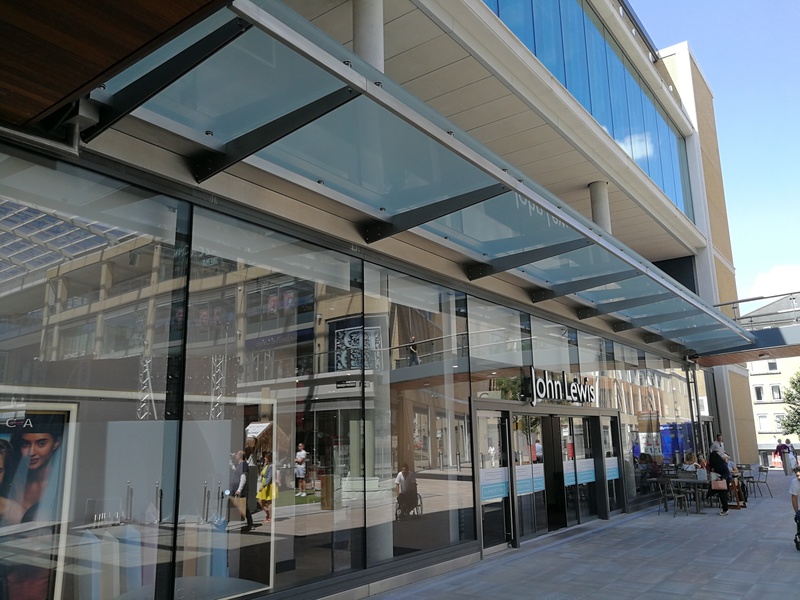 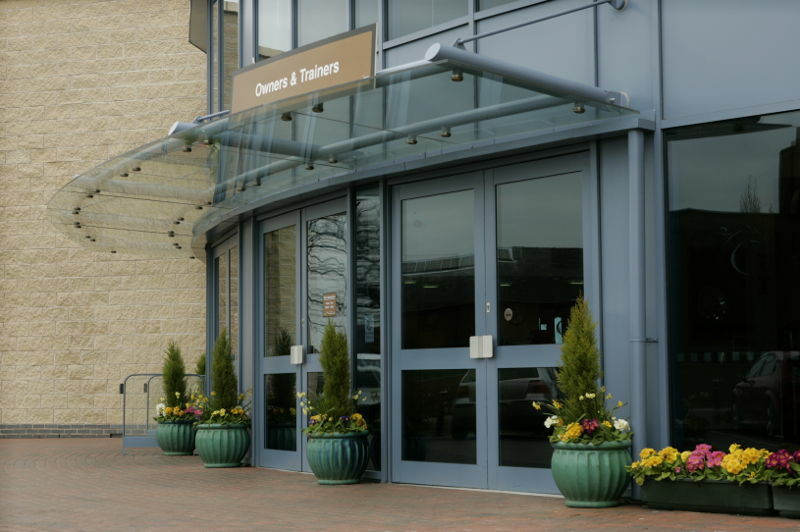 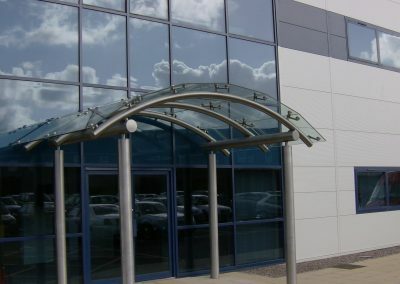 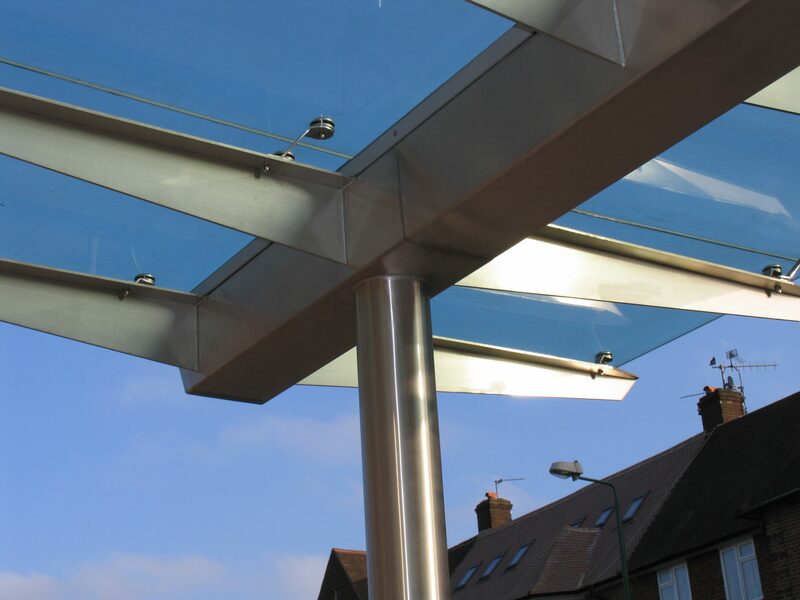 Over the past 20 years we have helped to create a vast number of traditional and contemporary commercial glass canopies and glass entrances; please take the time to browse through our gallery where you will see a selection of the many projects we have been involved with, please check back again as we are adding new projects all the time.